Brave New World is a timeless classic - as true today as the day it was written. Should be on everyone's short list of must read books. A classic. Futurist. Predates Orwell's 1984 by almost two decades. Social engineering is not Stalinian " Big Brother" nor workplace obsolescence but sensual conditioning: movies become the "feelies"; recordings during sleep make on love one's class (white, green etc); "soma" pills regulate reproducitve and cicardian rhythms; reproduction is removed from the body. The conditioned human has become increasingly recognized over the 20th and 21st centuries. ?Brave New World is ahead of its time. An eerie light is shone on today?s society through this book.? Aldous Huxley takes you into the future with this amusing and innovative science fiction novel. Due to a disease that cased temporary blindness, Huxley was able to write this novel since he couldn?t fight in the war. Brave New World focuses on technology as well as the dark side of genetics. Set in the year 2540, The World State can be viewed as a perfect society with happy citizens. All humans are created in the Department of Hatchery and Conditioning. They are taught in their sleep and are each assigned a social caste with predetermined roles. They have a flawless drug, it seems, that allows them to escape any of their personal problems. When a scientist, Bernard Marx, ventures to a savage reservation, his eyes are opened to the alternative universe. Soon the entire World State learns about savage life, the way we live today. Brave New World was a fun and exciting read. It allows your mind to explore the possibilities of the future. Even though it was written in 1932, it is very accurate in describing life today, and probably isn?t too far off about the future years to come. 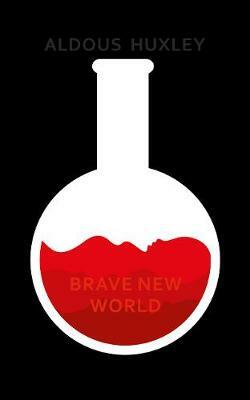 Brave New World highlights the problems of genetic engineering and utopian society, and therefore, is an important must-read. Really didn't much enjoy the writers style and quite honestly didn't find the book that interesting. Primarily read it because of the many references to it in other texts. Didn't expect a lot and didn't get a lot. The future possibilities are so true it's disturbing. It takes the what-ifs of the unknown, of the future, and turns it into a world where everything glorified in the present is taken to the extreme. Who's to decide what is superior? Why does technology, science, materialism, sexuality, standardization, and drugs constitute the 'high life?' Why is culture, tradition, creativity/art, individuality, family and manual work considered inferior? Questions like these are sure to plague you as you read. Huxley has a way with words that is often haunting and effective, but also overly sophisticated (have the dictionary at hand!). For its time, the book's genius. It's one that'll be sure to make you more conscious of your present. Aside from all the technology that's constantly calling your name, don't forget the other side to life...the side that makes you unique.